Defense & Foreign Affairs Analysis. By Gregory R. Copley, Editor, GIS. Former US Secretary of State James Baker, who co-chaired the recent US Iraq Study Group — the main recommendations of which were rejected by the George W. Bush Administration — is working indirectly and behind the scenes to bring about direct diplomatic ties between the US and Iran. This is in defiance of Bush White House policy which essentially has said that encouraging direct negotiations with the Iranian clerical leaders would legitimize and strengthen the power of the Iranian mullahs, making it more difficult for Iran’s secular opposition to bring about democratic change in the country. The visit on January 25-26, 2007, to Tehran by the Secretary-General of the Saudi National Security Council, Prince Bandar bin Sultan, for talks with his Iranian counterpart Ali Larijani on “the critical situation in Lebanon” was, in fact, to scope out a more broadly-based resolution to the Iran-US impasse along the lines of the so-called “Baker Plan” devised by the Iraq Study Group. The Iraq Study Group recommendations had already been discounted and discarded by the George W. Bush White House, but the Bandar maneuver with Ali Larijani is an attempt to sidestep that in order to resume the process of US recognition of the clerical leadership in Iran. The move highlights not only the ongoing Baker-Bandar link — which has been close on a financial and personal basis for decades — but also the growing power of Prince Bandar, the former Saudi Ambassador to the US and son of the Saudi Crown Prince and Deputy Prime Minister, Sultan bin ‘Abd al-’Aziz al Sa’ud. Prince Bandar in December 2006 caused to have removed his successor as Saudi Ambassador to the United States, former Director General of the General Intelligence Directorate (GID) Prince Turki al-Faisal, who he apparently saw as a rival. Although Prince Bandar’s father is in line to succeed to the Throne, there have been recent suggestions that his father could — with the passing of King ‘Abdallah bin ‘Abd al-’Aziz al Sa’ud (should Sultan outlive him; they are both of similar ages) — step aside and push Bandar as the candidate to be the next King. Moreover, Prince Bandar’s power in the Saudi structure is now such that suggestions that he replace Prince Sa’ud al-Faisal bin ‘Abd al-’Aziz Al Sa’ud as Foreign Minister are privately being sneered at as being beneath Prince Bandar’s power level. The Bandar-Larijani talks, then, should be seen in the light of Bandar’s power and ambition, and in light of Bandar’s close personal connection with James Baker. The talks between Bandar and Larijani, thus, gave Larijani, Secretary of Supreme National Security Council (SNSC), and the Iranian clerical leadership considerable optimism that they could circumvent the public position of US Pres. George W. Bush by working with Baker — through Bandar — and with the Democratic Party leadership in the US Congress. It seemed equally clear following initial talks between Bandar and Larijani that the Iranian official felt himself to be confident of his knowledge as to strategic approaches by the Bush White House with regard to Iran. Although the January 26, 2007, talks in Tehran were ostensibly primarily related to the developing crisis in Lebanon, it was apparent that talks on the US-Iranian framework both incorporated and transcended the Lebanon issue. But it was the crisis in Beirut which provided the ostensible cause for the developing round of talks between Bandar and Larijani. Larinjani had delivered a message to Saudi King ‘Abdallah on January 14, 2007, precipitating the visit by Bandar to Tehran where he met with “Supreme Leader” “Ayatollah” Ali Hoseini-Khamene‘i on January 25, 2007, before meeting at length next day with Larijani. It was clear that Bandar’s contacts in Tehran excluded Pres. 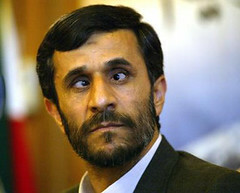 Mahmud Ahmadi-Nejad, who is now in open dispute with the “Supreme Leader”. [Saudi-Iranian links also took place in late January 2007 at the level of foreign ministers, between Saudi Foreign Minister Prince Sa’ud al-Faisal and Iranian Foreign Minister Manouchehr Mottaki.] Indeed, as an aside, the growing Baker/Bandar/Sultan links with the Khamene’i/Larijani links gives an implied boost to the position — currently informal — of former Iranian Pres. Ali Hashemi-Rafsanjani, now being projected as a “moderate” cleric, as opposed to the radical position of Ahmadi-Nejad. Iranian secular opposition and military figures believe that this characterization suits the Baker approach in the US, but disguises the fact that Rafsanjani is, in reality, no moderate, but is being portrayed in that light in comparison with the current President. Iranian sources said that offering up Rafsanjani as a leadership alternative to Ahmadi-Nejad could be portrayed in the West as a dampening down of Iranian anti-US strategic ambitions, although this was not the case: Rafsanjani has traditionally been one of the principal supporters of the use of terrorists as a proxy weapon against the West, and of the Iranian nuclear weapons program, much of which he pioneered. The Iranians, for their part, made little or no pretence on January 26, 2007, that the Tehran talks were about Lebanon, citing almost exclusively the common areas of agreement on regional security with Saudi Arabia. Not that Lebanon was excluded from the agenda. On the contrary, Iran used the consensus that the Bush Administration was incapable of stopping Tehran’s strategic momentum in order to bring Saudi Arabia — at least the Sultan-Bandar camp — into Iran’s fold by offering it more access, for example, to the Syrian leadership. Moreover, Larijani’s visit to Beirut in late January 2006 gave evidence that he felt that Iran had absolutely succeeded in its strategies to dominate Lebanese politics and to assure the veto capability of its surrogate, HezbAllah, in Lebanese affairs. Subsequently, Larijani also made it clear that he felt that the US could not — through the United Nations — stop Iranian plans for nuclear enrichment as part of Iran’s indigenous nuclear weapons program. But it was Larijani’s belief that he had insight into US strategies toward Iran which highlighted the strong probability that Bandar reflected conversations which he had earlier had with James Baker, in which Baker clearly alluded to White House positions. Larijani denigrated the US position against Iran as being merely “psychological warfare”, and dismissed the likelihood of a military threat from the two US Navy carrier battle groups in the region. Larijani’s comments made it clear that he was aware that the White House favored a campaign of psychological operations against the Iranian clerics over the use of actual military force, the threat of which was ideally intended to be more symbolic. Tehran was certainly proceeding with its power projection into Iraq and Lebanon based on this assumption, and was disregarding both the US and the United Nations accordingly. However, although former Secretary of State Baker may have conveyed what he felt was the position of the Bush White House — based on his privileged position as a close friend of the current President’s father (former Pres. George H. W. Bush) and a colleague of the new US Secretary of Defense, Robert Gates, quite apart from his ongoing contacts in the State Dept. — it is clear that both Pres. Bush and Vice-Pres. Richard Cheney are, in fact, losing patience with Baker for advocating Iraq and Iran policies so at odds with those of the White House. Moreover, the moves by Pres. Bush to authorize attacks in Iraq on Iranian personnel — essentially reversing a policy in place until a week or so earlier — showed that the US Executive Branch could still maneuver in ways to surprise Baker, Bandar, and the Iranian clerics. CLICK ON SUBJECT TO VIEW VIDEO IN PERSIAN WITH ENGLISH SUB-TITLES OF EXPERIENCES OF POLITICAL PRISONERS IN ISLAMIC REGIME PRISONS. LIBERAL DEMOCRATS AND ANTI-WAR DEMONSTRATORS , WHO OPPOSE ACTIONS THAT COULD FREE SUCH PEOPLE STILL INCARCERATED OR PREVENT THIS HORRIFIC ACTIVITY CONTINUING IN THE ISLAMIC REPUBLIC OF AHMADI-NEJAD, SHOULD TAKE A LOOK AT THIS. IN ONE SMALL PROVINCIAL TOWN OF RASHT, OUT OF 90 POLITICAL PRISONERS, ONLY EIGHT OR NINE SURVIVED AND WERE NOT EXECUTED BY THE ISLAMIC REGIME. IF THERE WERE 90 MEMBERS IN YOUR FAMILY AND ONLY NINE SURVIVED OVER A TEN YEAR PERIOD, YOU WOULD BE DRIVING HOSPITALS AND DOCTORS CRAZY TO FIND OUT WHAT WAS WRONG AND HOW TO TREAT IT. WHY DO YOU FAIL TO ACT TO PREVENT AND TREAT IT WHEN YOU KNOW THE REASON IT IS HAPPENING? 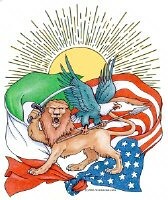 USE POLITICAL ACTION TO ATTACK THE MULLAHS NOT THE USA. How We Lost Iran And why we can’t afford another loss in Iraq. By Dinesh D'Souza and (Annotations in red by Alan Peters) There are four important Muslim countries in the Middle East: Iran, Iraq, Egypt and Saudi Arabia. Islamic radicals control Iran, and have since the Khomeini revolution a quarter century ago. Now they have their sights on Iraq. If they get Iraq, we can be sure they will target Egypt and Saudi Arabia. Let’s remember that this is a region upon which the United States will continue to be oil-dependent for the foreseeable future. If the Islamic radicals succeed, the American way of life will be seriously threatened. To understand the high stakes in Iraq, it’s helpful to understand what happened in Iran a generation ago. How did America “lose” Iran, (a closer and stronger ally - under the Shah - perhaps even than Israel) and how can we avoid another debacle in Iraq? Islamic radicals have been around since the 1920s, but for decades they were outsiders even in the Muslim countries. (The original Islamic radicals of those days were avid fans of Hitler and his writings and beliefs. Something which still creeps into their "fascist" or purist approach to religion, where all bow to Allah rather than Hitler's Mein Kampf philosophy or "master race"). One of their leading theoreticians, Sayyid Qutb, argued that radical Muslims could not just promulgate theories and have meetings; they must seek to realize the Islamic state “in a concrete form.” What was needed, he wrote, was “to initiate the movement of Islamic revival in some Muslim country.” Once the radicals controlled a major state, he suggested, they could then use it as a beachhead for launching the takeover of other Muslim countries. The ultimate objective was the unification of the Muslim community into a single Islamic nation, governed by Islamic holy law. (Blanketing the whole globe). In 1979, Qutb’s goal was achieved when the Ayatollah Khomeini seized power in Iran. Muslim scholar Hamid Algar terms the Khomeini revolution “the most significant event in contemporary Islamic history.” It was an event comparable to the French or the Russian revolutions. Virtually no one predicted it, yet it overturned the entire imperial structure and created a new order, even a new way of life. 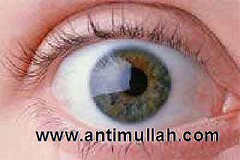 The mullahs restored the Islamic calendar, abolished Western languages from the schools, instituted an Islamic curriculum, declared a new set of religious holidays, stopped men from wearing ties, required women to cover their heads, changed the banking system to outlaw usury or interest, abolished Western-style criminal and civil laws, and placed the entire society under sharia, or laws based on the Koran. (Actions emulated by the Pakistani Taleban in Afghanistan. The Taleban are NOT Afghans by nationality and the Afghans repudiate them as being of Afghan origin or nationality. They come from the border regions from inside Pakistan but after some three decades, as brother Pashtun tribesmen, can claim to be whatever nationality they want to be - specially since fanatical Islam recognizes no borders or national divisions). The importance of the Khomeini revolution is that it demonstrated the viability of the Islamic theocracy in the modern age. Before Khomeini, the prospect of a large Muslim nation being ruled by clergy according to 8th-century precepts would have seemed far-fetched, even preposterous. Khomeini showed it could be done, and his successors have shown that it can last. (Albeit, lasting only by executions, torture, oppression and tyranny against the general populace of what was Iran and is now an Islamic Republic, which by its very nature accepts no national identity. The clerics even tried to have the name changed in the United Nations and be called the Islamic Republic but this was rejected). To this day, post-Khomeini Iran provides a viable model of what the Islamic radicals hope to achieve throughout the Muslim world (and eventually the whole world, as non-Moslem countries are taken over and lose their original identities. This has already begun in Europe and there are schools in Scandinavia where there are no students who are original ethnic Swedes). Khomeini also popularized the idea of the United States as a “great Satan.” Before Khomeini, no Muslim head of state had said this about America. Muslim leaders like Nasser might have disagreed with the United States, but they never identified it as the primary source of evil on the planet. During the Khomeini era, there were large demonstrations by frenzied Muslims who cursed the United States and burned its flag. For the first time, banners and posters began to appear all over Iran: DEATH TO AMERICA! THE GREAT SATAN WILL INCUR GOD’S PUNISHMENT! USA, GO TO HELL! AMERICA IS OUR NO. 1 ENEMY! These slogans have since become the mantra of Islamic radicalism. Khomeini was also the first Muslim leader in the modern era to advocate violence as a religious duty and to give special place to martyrdom. Since Khomeini, Islamic radicalism has continued to attract aspiring martyrs ready to confront the Great Satan. In this sense, the seeds of 9/11 were sown a quarter of a century ago when Khomeini and his followers captured the government in Tehran. Khomeini’s ascent to power was aided by the policies of Jimmy Carter and his allies on the political left. The Carter administration’s own expert on Iran, Gary Sick, provides the details in his memoir “All Fall Down,” a riveting story that has been largely erased from our national memory. Carter won the presidency in 1976 by stressing his support for human rights. From the time he took office, the left contrasted Carter’s rights doctrine with the Shah’s practices. The left denounced the Shah as a vicious and corrupt dictator, highlighting and in most cases magnifying his misdeeds. Left-leaning officials such as Secretary of State Cyrus Vance, U.N. envoy Andrew Young and State Department human-rights officer Patricia Derian pressed Carter to sever America’s long-standing alliance with the Shah. Eventually Carter came to agree with his advisers that he could not in good conscience support the Shah. When the Shah moved to arrest mullahs, who called for his overthrow, (in concert with Soviet driven Tudeh - Communists - and Marxist groups) the United States and Europe denounced his actions. Former diplomat George Ball called on the U.S. government to curtail the Shah’s exercise of power. Acceding to this pressure, Carter called for the release of political prisoners and warned the Shah not to use force against the demonstrators in the streets. (Carter's own pro-Soviet leanings, which resulted in so many of his actions around the world benefitting Soviet policies were part of this anti-Shah mindset). When the Shah petitioned the Carter administration to purchase tear gas and riot-control gear, the human-rights office in the State Department held up the request. Some, like State Department official Henry Precht, urged the United States to prepare the way for the Shah to make a “graceful exit” from power. William Miller, chief of staff on the Senate Intelligence Committee, said the United States had nothing to fear from Khomeini since he would be a progressive force for human rights. (The State Department, too, which openly states they are there only to talk and negotiate not propose aggressive actions, appear to be pushing to "talk" directly with Iran as if this would provide results any more concrete than the misjudgments of Khomeini in the past. Is not a description of lunacy that of repeating the same action over and over and expecting a different result?). U.S. Ambassador William Sullivan even compared Khomeini to Mahatma Gandhi, and Andrew Young termed the ayatollah a “20th-century saint.” (In their left leaning, blind ignorance, they described Khomeini's future role as that of an Islamic "Pope" who would settle in holy city of Ghom, in Iran, and behave like the Catholic Pope at the Vatican. As the resistance gained momentum and the Shah’s position weakened, he looked to the U.S. government to help him. Sick reports that the Shah discovered he had many enemies, and few friends, in the Carter administration. Increasingly stressed, he pleaded with the United States to help him stay in power. Carter refused. (Read Carter's Illegal Demands on the Shah on my site - link in the left hand column. There was greed, not only stupidity and lack of an understanding of the world balance of power, motivating Carter). Deprived of his last hope, with the Persian rug pulled out from under him, the Shah decided to abdicate. The Carter administration encouraged him to do so, and the cultural left celebrated his departure. The result, of course, was Khomeini. The Carter administration’s role in the downfall of the Shah is one of America’s great foreign-policy disasters of the 20th century. In trying to get rid of the bad guy, Carter got the worse guy. (And thus triggered the Soviet invasion of Afghanistan, since the Shah was no longer there to prevent it as a key player and later gave rise to the 8-year Iran -Iraq war - again because the Shah was no longer there to stop it. A previous time Iraq invaded Iran, the Shah's military sent them scurrying back in a matter of four days and Iraq quickly signed the new border agreement, using the Talweg line (mid-river channel) instead of the long-set British border, which was on Iran's side of the river shoreline separating the countries). Carter's failure, as former Democratic senator Daniel Patrick Moynihan once said, was the result of being “unable to distinguish between America’s friends and enemies.” According to Moynihan, the Carter administration had essentially adopted “the enemy’s view of the world.” Carter does not deserve sole discredit for these actions. This intellectual framework that shaped Carter’s misguided strategy was supplied by the political left. Of course, the primary force behind the Shah’s fall was the fundamentalist movement led by Khomeini. (And heavily bolstered by Soviet backed groups hoping to finally take control of Iran, which years of the monarchy and British oppostion had prevented). But it is possible that the Shah, with U.S. support, could have defeated this resistance. A clear example of this comes from when the Shah ordered his Imperial Guards Commander, General Oveissi, to be ready to take over as Prime Minister from Amir Abbas Hoveida the next day. He also called in both the British and American Ambassadors to advise them of this action. These two men strongly insisted that he should appoint a religious general called Azhari instead. The communist Tudeh party and the clerics, who had turned quiet, expecting a firm reaction, immediately rose up when Azhari went to parliament and prayed with the elected members. A surprising sign of weakness). Another option would have been for the United States to use its influence to press for democratic elections, an option unattractive both to the Shah (who was already trying out political dress rehearsals along these lines with an unsophisticated population only just enterring the 20th century) and to the Islamic militants (in whose belief structure democracy could have no standing as all allegiance had to be solely to Allah and nobody or nothing else). Even after the Shah’s departure, a U.S. force could have routed the Khomeini regime – an action that would have been fully justified given Iran’s seizure of the U.S. embassy and the taking of American hostages. (Increasingly detailed information from Iranian sources who were in charge on the ground at the time and from US military, who were on standby to execute the "clusterf**k" cobbled together hostage rescue attempt compiled by Carter's people, now indicate that there was NEVER a hostage rescue attempt! The so-called rescue was in fact a cover for another mission gone wrong in the same general geographical area. To avoid having to declare war on the Soviet Union, the failed mission became the plausible "hostage rescue" attempt - which failed but avoided the declaration of war. Avoiding the true mission. Time permitting, this exclusive story will break on this site in the near future) Determined at all costs to prevent these outcomes, the left sought not only to demonize the Shah but also to favorably portray Khomeini and his radical cohorts. In Sick’s words, Khomeini became “the instant darling of the Western media.” The tone of American press coverage can be gleaned from Time’s cover story on Feb. 12, 1979: “Now that the country’s cry for the Ayatollah’s return has been answered, Iranians will surely insist that the revolution live up to its democratic aims. Khomeini believes that Iran should become a parliamentary democracy. (Carter forgot to tell Khomeini this was to be his belief, since Khomeini never had this in mind - as proved by his writings on religious jurisprudence and his response to what should be done about the Ministry of Justice. He replied: "if someone is against me, he is against Allah and should be killed on the spot. Why do I need a Ministry of Justice or any other justice?" Carter and other liberals opined those who know the ayatollah expect that eventually he will settle in the holy city of Qom and resume a life of teaching and prayer.” Immediately following Khomeini’s seizure of power, political scientist Richard Falk wrote in the Feb. 16, 1979, New York Times, “To suppose that Ayatollah Khomeini is dissembling seems almost beyond belief. He has been depicted in a manner calculated to frighten. The depiction of him as fanatical, reactionary and the bearer of crude prejudices seems certainly and happily false. His close advisers are uniformly composed of moderate, progressive individuals ... who share a notable record of concern with human rights. What is distinctive about his vision is the concern with resisting oppression and promoting social justice. (These moderate advisors became the most virulent and blood thirsty executioners almost immediately). Many non-religious Iranians talk of this period as Islam’s finest hour. Iran may yet provide us with a desperately needed model of humane governance for a Third World country.” The naiveté of Falk’s essay is of such magnitude as to be almost unbelievable. Falk should have known better, and I believe he did know better. Sick notes that in terms of the kind of regime he wanted to institute in Iran, “Khomeini was remarkably candid in describing his objectives.” As an expert on international relations, Falk was surely familiar with what Khomeini had been consistently saying for three decades. Along with Ramsey Clark, former attorney general in the Johnson administration, Falk met with Khomeini on his last day in Paris, before his triumphal return to Iran. Shortly after that meeting Clark conducted a press conference to champion Khomeini’s cause. Falk, too, seems to have acted as a kind of unpaid public-relations agent for the ayatollah’s regime. Upon consolidating his power, Khomeini launched a bloody campaign of wiping out his political opposition and reversing the liberties extended by the Shah to student groups, women’s groups and religious minorities. In one year, the Khomeini revolution killed more people than the Shah had executed during his entire quarter-century reign. Despite the fact that many progressive figures were imprisoned, tortured and executed, Khomeini’s actions produced a great yawn of indifference from America’s cultural left. The same people who were shocked and outraged by the crimes of the Shah showed no comparable outrage at the greater crimes of Khomeini. They knew, as well as everyone else, that liberty would be largely extinguished in Iran, and they greeted this prospect with equanimity. Even when radical students overran the U.S. Embassy in Tehran on Nov. 4, 1979, and took more than 60 American hostages, the left’s sympathy was with the hostage-takers. During this period, three liberal clergymen – William Sloane Coffin of New York’s Riverside Church, National Council of Churches executive director William Howard and Catholic Bishop Thomas Gumbleton – visited the hostages and looked with approval as they recorded anti-U.S. statements for use as Iranian propaganda. The U.S. religious leaders did not seem embarrassed to be used by the Iranian hostage-takers. Many of the allegations against the United States launched by the Iranian radicals corresponded exactly with the views of these liberal clergymen. (Today, a highly similar situation exists with a hand-in-hand set of viewpoints expressed by Al Qaeda, which parrot the leftist liberals of the USA and the Democratic party now again in power. To an extent that Al Qaeda took credit for getting these "anti-Bush at any cost" legislators back into power). Going beyond the expectations of the hostage-takers, Coffin even faulted his fellow Americans for “self pity” and urged them to hold hands with their captors and sing. In the hostage crisis, these clergymen quite consciously contributed to America’s humiliation. By aiding the Shah’s ouster and with Khomeini’s consolidation of power, the left collaborated in giving radical Islam its greatest victory in the modern era. Thanks in part to Jimmy Carter, Muslim radicals got what they had been seeking for a long time: control of a major Islamic state. Now, irony of ironies, Carter and some of the same people who lost Iran are back in the news, criticizing the Bush administration for what it is doing in Iraq. Some of their points may be valid, but once again, they are forgetting that when you try and get rid of something terrible, you should at least make sure that you don’t get something even more terrible. Carter never understood that, and he still doesn’t. (Nor does the newly elected U.S. House and Senate). Rather than dispensing advice, the 39th president should be offering the United States an apology. Yes, what’s going on in Iraq today is not pretty, but that could be said of just about any war. In trying to escape from a difficult situation, America should not put itself into an even more perilous situation. We should always keep in mind what’s at stake in this conflict. (Not what some distant past military, mid-level officer, with political Committee chairmanship ambitions proposed. Which make Carter appear to be wise by comparison). Today in Iraq, the Islamic radicals are after their second big prize. Iraq is, in a sense, even more important to the radicals than Iran. The reason is that the Khomeini Revolution, despite its global aspirations, proved to be very difficult to export. Iranians are Persian, and thus ethnically distinct from the Arabs who dominate the Middle East. Even within Islam, Iranians belong to the Shia minority, while 80 percent of Muslims worldwide are Sunni. Consequently, Islamic radicals have been attempting for the better part of two decades now to carry the revolution beyond Iran, to bring a second Muslim state under radical control, and to establish a model for theocracy and terrorism that the Sunni majority in the Islamic world can emulate. So, unlike in Vietnam, the United States faces an adversary that is not merely ideologically hostile, but one whose success would threaten our vital interests and our security, as well as our economic well-being. Given this, the insouciance and even anticipation with which some of the Bush administration’s critics propose prompt U.S. withdrawal from Iraq is remarkable. (Liberal Democrats, back in power appear to be insisting on repeating Carter's irreparable mistakes - cutting off their noses to spite their face). In a recent article in Harper’s, former presidential candidate George McGovern proposed that the United States get out of Iraq, give up its bases there, apologize for having invaded in the first place, accept responsibility for any bloodbath that ensues, and offer to pay reparations to Iraq for its war crimes. This advice goes beyond recklessness. What do McGovern and his allies think is going to happen when U.S. troops leave? They seem eerily eager for the insurgents to topple the elected government and seize power. Apparently their dislike for President Bush is great enough that they are willing to risk the country falling into the hands of Islamic radicals. (And consequently - similarly to regional events triggered by the removal of the Shah, to have those Islamic extremists operating their deadly missions inside the USA, suicide or homicide bombing our malls and mostly unprotected and impossible to protect infrastructure). Little do the people waging “the war against the war” know that, in exchange for a temporary political advantage, they are gravely endangering America’s security and well-being, ultimately even their own. Like Carter and his liberals, they will be to blame for the pain and suffering which will make the minimal deaths - by comparison - in Iraq of US soldiers - look like a walk in the park to the civilian bodies that will be strewn about in our cities. The Islamic perpetrators are already in place here and as France discovered, they cannot be appeased. Nor as liberals in England discovered, will sypathetic legislation prevent subway or airline attacks. Successful or otherwise. 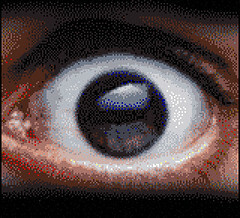 Here in the USA, with liberals again blocking or impeding government efforts to intercept and prevent attacks through NSA phone taps, bank overview or other methods, our people are being put in to ever graver danger in the name of freedoms the enemy will never allow us to have but will eagerly abuse to get us. Adapted from Dinesh D’Souza’s new book, “The Enemy at Home: The Cultural Left and Its Responsibility for 9/11” (Doubleday). D’Souza is the Rishwain Fellow at the Hoover Institution at Stanford University. Oh, those evil joos... Beirut - Israeli planes violated Lebanese airspace Saturday and dumped green balloons over the southern port city of Tyre, Lebanese security sources said. Lebanese troops cordoned off the area around the coast of Tyre and prevented people from touching the 'suspicious balloons' after reports indicated that some people were poisoned when they did. According to a hospital source in Nabatiyeh, similar green balloons were dropped over the market-town of Nabatiyeh, 54 kilometres south of Beirut. Five people suffering from nausea and dizziness were brought into hospital after they touched the 'suspicious green balloons,' the source said. !!!!! What really happened? (IsraelNN.com) An Israeli newspaper released green balloons during a promotional event on Saturday in the North. Some of the balloons were carried by the wind across the border to southern Lebanon. Residents of the towns of Tyre and Nabatiyeh notified the Lebanese army of the strange balloons, and were warned not to touch them. The balloons were gathered into a cluster and destroyed in a controlled explosion. Lebanese official media reported that the balloons were poisoned, and were part of an Israeli attack. Residents claimed that the balloons were dropped from IDF aircraft. Residents were apparently confused by the writing on the balloons as well: the balloons carried the name of the newspaper, HaIr, which "somewhat" resembles the Hebrew word for “caution,” Hizaher. Hizbullah’s news station, Al-Manar, reported that the balloons bore the word “caution” in Hebrew and claimed that several locals were hospitalized after inhaling the balloons' gas. Oh my. PRC Move to Demonstrate ASAT Capability Well-Timed and Deliberate Analysis. By Gregory R. Copley, Editor, GIS. The successful test of a terrestrially-launched anti-satellite (ASAT) missile by the People’s Republic of China (PRC) on January 19, 2007 (local; January 18, 2007 US time), was a major strategic signal by the PRC — just as was the October 9, 2006, detonation of a nuclear weapon by the Democratic People’s Republic of Korea (North Korea) — designed to establish a capability at a time when the US was too strategically preoccupied elsewhere to adequately respond. The test, the first such ASAT missile demonstration anywhere in the world for some 24 years (the last was in 1982), was as much a demonstration of strategic intent and technological prowess as it was a test of an operational capability. The missile destroyed an ageing PRC weather satellite, the FY-1C, in Low Earth Orbit of approximately 500 miles above the earth, leaving a debris field which poses a risk to other platforms sharing the same orbital arena. Retired Col.-Gen. Leonid Ivashov, former head of the Russian Defense Ministry’s international military cooperation department, said that the PRC ASAT weapon was modeled on the Soviet IS-1 missile designed to destroy satellites, developed in the 1970s. It was clear that the test did not embody the latest thinking about how future ASAT operations would most probably be conducted, but it did demonstrate that the PRC had been able to absorb the accurate missile guidance technology secretly released to the PRC by then-US Pres. William Clinton in the 1990s. More likely, in a more broadly-based military use of space, the PRC would turn to energy-derived systems, such as space-based lasers as well as terrestrially-based lasers. There was no intelligence warning in the West that such a test would occur, and, indeed, even Russian intelligence officials appeared to be surprised by the completeness and success of the PRC demonstration. In the recent book, The Art of Victory: Strategies for Personal Success and Global Survival in a Changing World, I had a section entitled “The Militarization of Space … and China is in the Lead”. The book, which said that the PRC aimed to have a military base on the moon within a decade, also stressed that the PRC would use space weapons as its “checkmate” protection against the West in the future. The book said: China ... will use science, technology, and space to achieve its shashou jiang (“assassin’s mace” strategy); its checkmate to achieve supremacy. China is investing heavily in space capabilities — including permanent moon basing within a decade or so — which would enable it to use space-based weapons to neutralize strategic ballistic missiles. Chinese leaders have taken seriously Ronald Reagan’s and Stefan Possony’s Strategic Defense Initiative (SDI), and have begun to implement it in a new sense. By neutralizing the US, and Russian, Indian, Iranian, and all other ballistic missiles and the potential nuclear threat they carry, it would render the global playing field more equal. China is not attempting to go to the moon merely for “national prestige”; that would be wasteful. US Congressman Edward J. Markey (Democrat, Massachussets), Co-Chair of the House Bipartisan Task Force on Nonproliferation and Chairman of the House Subcommittee on Telecommunications and the Internet, issued an immediate statement late on January 18, 2007 (US Eastern Time), on the PRC missile demonstration, noting: The United States leads the world in space-based assets for communications, weather prediction, and military missions of all kinds. An arms race in space to develop anti-satellite weapons would cause needless instability and threaten American economic and national security. Again, I urge the Bush Administration to negotiate a ban on testing and deploying these weapons, Markey concluded. The FY-1C was stationed at a Low Earth Orbit of approximately 500 miles above the earth. A massive cloud of debris is expected to result from the breakup of the satellite, threatening the many government and military imaging, weather and communications satellites within Low Earth Orbit. Among the vital space-based assets at Low Earth Orbit is the Iridium constellation, a 66-satellite constellation of communications satellites used heavily by commercial and military clients. The fleet of weather satellites operated by the National Oceanic and Atmospheric Administration also functions at Low Earth Orbit, including those used in the joint US-Russian program for maritime search-and-rescue. Additionally, all manned space missions including the Shuttle and the International Space Station, utilize Low Earth Orbit and are thereby put at risk by the debris cloud. The development of PRC ASAT capabilities were expected. For example, Yuan Liwei (PhD candidate of the Air Force Engineering University), and Yang Jianjun (Professor of the Air Force Engineering University), in Winged Missiles Journal, Issue 12, 2004 (a Journal sponsored by the China Aerospace Science and Technology Corporation, the State-owned flagship enterprise in the space sector), justified the development of ASAT weapons based on a calculus of necessity namely, that the weaponization of outer space had already severely threatened the PRC’s strategic security. The development of ASATs, they said, would greatly enhance China’s prospects of winning a regional high-tech war while simultaneously stimulating growth in space technology industries. 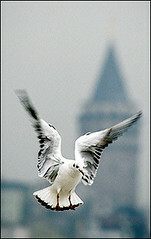 It was not only necessary, the authors said, but also feasible to develop such weapons. The PRC had the financial resources and technological means to further this goal, including precision-guidance systems, launch vehicles for ballistic missiles as well as satellite orbital maneuvering technology. Yet, if the PRC was to develop ASAT weapons, it must also address a number of issues, such as space warfare theories and rules, the formation and structure of ASAT forces and key relevant technologies. Yuan and Yang said that as military action against satellites was a highly sensitive strategic issue, different methods of attack (physical destruction, damage to key systems or jamming communications) should be employed according to the particular situation. The authors conclude that, given the enhanced rôle satellites would play in future wars, ASAT weaponry is destined to be a key factor in ensuring space superiority and national security. To make certain the credibility of deterrence, and to safeguard its security and national interests in the 21st Century, the PRC must apply an asymmetrical strategy in accordance with its particular condition, actively researching and developing ASATs. Footnotes: 1. Copley, Gregory R.: The Art of Victory: Strategies for Personal Success and Global Survival in a Changing World. New York, 2006: Threshold Editions of Simon & Schuster. ISBN-13: 978-1-4165-2470-0. See www.artofvictory.com. Growing Leftist-Jihadist Linkages Highlighted by January 12, 2007, Attack on US Embassy Analysis. By GIS Staff. Reliable sources indicate that the RPG-7 rocket-propelled grenade fired at the US Embassy in Athens on January 12, 2007, was supplied to the leftist Greek terrorist organization, Revolutionary Struggle, by the Albanian jihadist-linked group, the Kosovo Liberation Army (KLA/UCK). The confirmation of the link demonstrates the growing linkages between anti-Western leftist terrorist groups and anti-Western Islamist jihadi groups, and there is some suggestion that the reappearance of Revolutionary Struggle may have been prompted directly by support received from the cash-rich KLA. The KLA itself, now operating under a variety of new front names, is itself a nominally nationalist-based group which owes much of its origin to the ultra-Stalinist Hoxha-style Albanian political movement which was displaced by the end of the Cold War and the collapse of communism. But with the links through Albanian Muslims — and particularly Albanian Muslims living in the Serbian province of Kosovo — to the al-Qaida terrorist movement, and later to Iranian intelligence operatives, the KLA has now become an integral part of the jihadist movement in Europe, essentially controlling the illicit trade in narcotics, white slaving (prostitution), and arms to fund and equip terrorist operations. The KLA link with Revolutionary Struggle, then, is logical. Moreover, it should be expected that the KLA/jihadist linkage into the Greek ultra-left groups will be facilitated by the injection of funds — derived from narco-trafficking — and weapons into the Greek groups. The ideological “purity” of the Greek leftist groups will ultimately begin to disintegrate as they focus on what is possible through the acquisition of illegal funds and weapons, as was the case with, for example, the Irish Republican Army (IRA) in its various forms, and many of the South American terrorist/insurgency groups which developed a “lifestyle” based on criminal activities. Indeed, the jihadist groups and other Middle Eastern radical groups also have traditionally allowed themselves to be distorted by (a) availability of sources of funding, and (b) tactical opportunism. In the case of the KLA-Greek leftist linkages, geographic contiguity is a key factor in the development of relations, compounded by the reality of the large number of Albanian nationals now resident in Greece. As well, the links which many of the older leftist Greek groups maintained with the former Greek ruling socialist PASOK Party, and PASOK’s clandestine support for jihadist terrorist groups and radical militias — such as the Palestinian Force 17 — facilitated an historic set of linkages between radical leftism and Islamist jihadism in South-Eastern Europe. The revival of anti-US terrorist activities in Greece, and throughout the Balkans, therefore, should be expected to occur during 2007, particularly associated with the attempts by the KLA to ensure international recognition for an independent Kosovo. Ironically, this objective is supported by the US State Dept., the very target of the Revolutionary Struggle rocket attack. U.S. Says Qods Force Operations Director Among Detained Iranians International Herald Tribune reported that the The U.S. ambassador said Wednesday that one of the Iranians detained by U.S. forces in Iraq during two raids over the past month was the director of operations for Iran's Revolutionary Guard Quds faction, the organization responsible for funding and arming Iraqi militants. Hezbollah Protests Meant to Weaken Western Resolve Against Iran, Expert Says CNSNews reported that Iran and Syria are funding Hezbollah's "urban intimidation" campaign in Lebanon to crush the emerging democracy and weaken Western resolve to stop Iran's nuclear program. Khaleej Times Online reported that Lebanon’s embattled premier has pinned the blame on Iran and Syria for a Hezbollah-backed nationwide opposition strike. Iran Test-Fires Home-Made Missiles All Headline News reported that Iran's Islamic Revolutionary Guards Corps on Tuesday reported to have successfully test-fired two types of home-made missiles during a five-day military maneuver. Tehran Power Struggle Intensifies The Guardian reported that Ayatollah Rafsanjani believes Iran may have to yield to western demands to suspend uranium enrichment in order to save the country's Islamic system from collapse. A growing host of warnings on Iran Israeli PM Warns of 'Severe Steps' Against Iran Yahoo News reported that Israeli Prime Minister Ehud Olmert warned that if the world's diplomatic efforts to stop Iran's nuclear program fail, then "much more severe steps" should be taken. Bolton says American diplomatic strategy on Iran flawed International Herald Tribune reported that former U.N. Ambassador John Bolton says the United States may not be able to prevent Iran from acquiring nuclear weapons because it is following a flawed diplomatic strategy. Woolsey: destruction of Israel and US is essence of Iranian Vilayat Faqih movement James Woolsey (former director, CIA), The 7th Herzliya Conference said the destruction of Israel and US is essence of Iranian Vilayat Faqih movement. 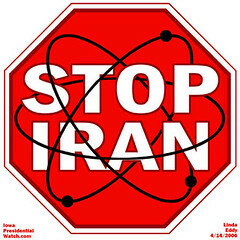 Newt Gingrich: Iran Eyes 'Second Holocaust' NewsMax.Com reported that former House Speaker Newt Gingrich said Israel is facing the greatest threat to its survival since the Six-Day War in 1967 – and warned that a nuclear-armed Iran would lead to a "second Holocaust.” Britain's FM Accuses Iran, Syria of Spitting in West's Eye Yahoo News reported that Foreign Secretary Margaret Beckett has accused Iran and Syria of spitting in the eye of the West, but vowed to continue trying to engage with them. Saudi FM Warns Iran The Jerusalem Post reported that Saudi foreign minister, Prince Saud al-Faisal, warned against partitioning Iraq along sectarian lines and told Iran not to "meddle" in Arab affairs. Netanyahu to US officials: Divest from Iran The Jerusalem Post reported that Binyamin Netanyahu asked New England officials to divest state pension funds from Iran, a step he said could pressure Iran into backing away from its nuclear ambitions. Amnesty International, in a public statement, said it deplores the executions earlier today of four Iranian Arab men and fears for the lives of other prisoners who are reported to have been sentenced to death recently following unfair trials. MEHR IRAN reported that a trial date for a lawsuit against the Islamic Republic has been set in US Federal Court, Washington DC for February 2, 2007. The Irish Times published the full text of President Bush's State of the Union 2007 speech. The Minnesota Daily, in an editorial, reported how Web logging has become a new tool for the social movement against the current Iranian government, President Mahmoud Ahmadinejad has made efforts to control this new media by establishing a law requiring Iranian bloggers to register their sites with authorities. Liz Cheney, The Washington Post reminded us that we are fighting the war on terrorism with allies across the globe. She said: "We will have to fight these terrorists to the death somewhere, sometime. We can't negotiate with them or "solve" their jihad. If we quit in Iraq now, we must get ready for a harder, longer, more deadly struggle later." The Financial Times reported that Royal Dutch Shell is expected to sign an agreement on Saturday bringing it closer to a large investment in Iran, in spite of the threat of further pressure on the country over its nuclear program. Middle East Media Research Institute published a report on the teaching of the imminent return of the Mahdi (12th Iman) on the official website of the governmental Islamic Republic of Iran Broadcasting. The gap in my posting relates to time consumed sifting a slew of unrelated reports reaching me that together show a concerted effort in a campaign by the Islamic Regime in Iran to discredit the Monarchy and any senior, out of the country, Military and Security persons who might play a role should there be a sudden regime change. Presumably after an attack by the West. Also reports - including from inside Iran - of how the USA has been duped and taken in infiltrators planted by the Islamic Regime. Developing. Also, as soon as possible, a number of longer articles will go up in NEWS VIEWS as linked in the left hand column. The US released all of the SIX (not five as currently being reported) captured Iranian officials caught in a raid on a questionably-documented Iranian “consulate” in Erbil, in Iraqi Kurdistan, on or about January 10-11, 2007. The Kurds, who are said to receive vast sums of hush money from Iran to allow contraband of arms and illegal drugs over the common border, had "designated" the location as a "diplomatic" building, whereas only the central Baghdad government has authority to grant diplomatic status to foreign entities or countries. The smuggled arms apparently continue via Turkey and Syria to the HezbAllah in Lebanon, while the drugs flow through Turkey into Europe. Here, it appears "money talks" louder than Kurdish national interests, since Iran and the Turks both gather increasingly large, well armed forces on their respective borders with Iraq's Kurdish region, in a mutual effort to prevent an independent Kurdistan from taking root. The Kurdish "nation" lives in sizeable chunks of Turkey, Iraq and Iran, which would be lopped off from those countries to form a new "Kurdistan". Iran has even shelled and fired missiles into this Kurdish region fairly recently. The Iranian leader first to be released, under pressure from the Kurdish President of Iraq, Jalal Talebani, was understood to be Hassan Abbasi, the key Iranian figure in organizing Iran’s jihadist movement in Iraq. And the mainstay for networking and funding various terror groups around the world. Such as the semi-defunct, dormant at best, November 17th group, which is credited with attacking the US Embassy in Greece. The other five were released very quickly thereafter into Kurdish custody, and were given up without any real interrogation. See Defense & Foreign Affairs Special Analysis, January 12, 2007: It was understood, however, the US did seize computer equipment and documents from the Iranian facility. There was also speculation that the “Hassan Abbasi” captured may not have been the key adviser to Iranian President Mahmoud Ahmadi-Nejad. Significantly, however, the US is keeping details of the matter under close wraps. Please note that "Abbassi" would not be travelling with documents issued to his pseudonym or -"nom de guerre" - of Hassan Abbassi, so proof would lie in photos not papers. All six were photographed before being handed over to the Kurds. One report stated that US troops had captured Mohammad Jaafari Shahroudi (AKA “Rahimi”), a Qods Brigades (Special Islamic Iranian Forces used for overseas missions) operative wanted in Austria for the 1989 assassination of Kurdish leader Abdol Rahman Ghassemlu. The Israeli website, Debka, reported that the most important capture in Erbil was Col. Far Hassami, whom was described as being number three in the Qods Brigades hierarchy, below Brigades commander Gen. Qassem Sulemaini. According to this report, Hassami revealed under basic interrogation that a Col. Ghassem Abtahi was the Iranian Revolutionary Guard Corps (IRGC: Pasdaran) “overall commander of Tehran’s program to dominate Iraq”. Abtahi, was “the RG representative attached to the HezbAllah command in Lebanon in 2004 and 2005. They were told he now operates out of the Fajr base in Ahwaz, capital of the southern Iranian oil province of Khuzestan.” Hassami also named Col. Mohammad Ali Ibrahimi (AKA Mehdi Mohandess) “as responsible for smuggling Iranian supplies of arms and military equipment into Iraq”. Did a few moments of insult or disrespect for Saddam as he was about to be hanged exceed his handling of those he killed and executed? Are we are being tested and evaluated by terrorist cells in the USA? YOU BET! Alan note: quite a variety of incidents indicate that terrorist cells are actively testing our ability to react, using items that are as yet not intended for lethal use but provide valuable data for them. The Mercury spill article on NEWS VIEWS, (link in left hand column) an event easily purchased from a non-terrorist implementer for a few hundred dollars, has enough "danger" to trigger HAZMAT and evaluate our reactions and capability. The recent mysterious New York "horrible smell" which has been designated as "from unknown reasons" - after first being blamed on New Jersey - would appear to me to be a test of the wind and spread direction and a precursor to "dirty bomb radiation" assessment by terrorists evaluating where best to place or detonate one. Insofar as possible the enemy does not wish to signal intentions, so uses more subtle approaches to to plan and test lethal moves in the future. Iran Gets Army Gear in Pentagon Sale Jan 16, 2007 By SHARON THEIMER The U.S. Military has sold forbidden equipment at least a half-dozen times to middlemen for countries - including Iran and China - who exploited security flaws in the Defense Department's surplus auctions. The sales include fighter jet parts and missile components. In one case, federal investigators said, the contraband made it to Iran, a country President Bush branded part of an "axis of evil." In that instance, a Pakistani arms broker convicted of exporting U.S.Missile parts to Iran resumed business after his release from prison. He purchased Chinook helicopter engine parts for Iran from a U.S. Company that had bought them in a Pentagon surplus sale. Immigration and CustomsEnforcement agents, speaking on condition of anonymity, say those parts made it to Iran. The surplus sales can operate like a supermarket for arms dealers. The Defense Reutilization and Marketing Service says on its Web site, calling itself "the place to obtain original U.S. Government surplus property." Federal investigators are increasingly anxious that Iran is within easy reach of a top priority on its shopping list: parts for the precious fleetof F-14 "Tomcat" fighter jets the United States let Iran buy in the 1970s when it was an ally. In one case, convicted middlemen for Iran bought Tomcat parts from the Defense Department's surplus division. Customs agents confiscated them and returned them to the Pentagon, which sold them again - customs evidence tags still attached - to another buyer, a suspected broker for Iran. That incident appalled even an expert on weaknesses in Pentagon surplus security controls. "That would be evidence of a significant breakdown, in my view, in controls and processes," said Greg Kutz, the Government Accountability Office's headof special investigations. " A Defense Department official, Fred Baillie, said his agency followed Procedures. "The fact that those individuals chose to violate the law and the fact that the customs people caught them really indicates that the process is working, said Baillie, the Defense Logistics Agency's executive director ofdistribution. " Customs is supposed to check all exports to make sure that all the appropriate certifications and licenses had been granted." The Pentagon recently retired its Tomcats and is shipping tens of thousands of spare parts to its surplus office - the Defense Reutilization andMarketing Service - where they could be sold in public auctions. Iran is the only other country flying F-14s." It stands to reason Iran will be even more aggressive in seeking F-14 parts" said Stephen Bogni, head of Immigration and Customs Enforcement's arms export investigations. Iran can only produce about 15 percent of the parts itself, he said. Sensitive military surplus items are supposed to be demilitarized or de-milled" - rendered useless for military purposes - or, if auctioned, sold only to buyers who promise to obey U.S. Arms embargoes, export controls andother laws. The GAO, the investigative arm of Congress, found it alarmingly easy to acquire sensitive surplus. Last year, its agents bought $1.1 million worth - including rocket launchers, body armor and surveillance antennas - by driving onto a base and posing as defense contractors. "They helped us load our van," Kutz said. Investigators used a fake identityto access a surplus Web site operated by a Pentagon contractor and bought still more, including a dozen micro-circuits used on F-14 fighters. The undercover buyers received phone calls from the Defense Department asking why they had no Social Security number or credit history, but they deflected the questions by presenting a phony utility bill and claiming to be an identity theft victim. The Pentagon's public surplus sales took in $57 million in fiscal 2005. The agency also moves extra supplies around within the government and gives surplus military gear such as weapons, armored personnel carriers and aircraft to state and local law enforcement. Investigators have found the Pentagon's inventory and sales controls rife with errors. They say the sales are closely watched by friends and foes of the United States. Among cases in which U.S. military technology made its way from surplus auctions to brokers for Iran, China and others: Items seized in December 2000 at a Bakersfield, Calif., warehouse that belonged to Multicore, described by U.S. prosecutors as a front company for Iran. Among the weaponry it acquired were fighter jet and missile components including F-14 parts from Pentagon surplus sales, customs agents said. The surplus purchases were returned after two Multicore officers were sentenced to prison for weapons export violations. London-based Multicore is now out of business, but customs continues to investigate whether U.S. companies sold military equipment to it illegally. In 2005, customs agents came upon the same surplus F-14 parts with the evidence labels still attached while investigating a different company suspected of serving as an Iranian front. They seized the items again. They declined to provide details because the investigation is on-going. Arif Ali Durrani, a Pakistani, was convicted last year in California in the illegal export of weapons components to the United Arab Emirates, Malaysia and Belgium in 2004 and 2005 and sentenced to just over 12 years in prison. Customs investigators say the items included Chinook helicopter engine parts for Iran that he bought from a U.S. company that acquired them from aPentagon surplus sale, and that those parts made it to Iran via Malaysia. Durrani is appealing his conviction. An accomplice, former Naval intelligence officer George Budenz, pleaded guilty and was sentenced in July to a year in prison. Durrani's prison term is his second; he was convicted in 1987 of illegally exporting U.S. missile parts to Iran. State Metal Industries, a Camden, N.J., company convicted in June of violating export laws over a shipment of AIM-7 Sparrow missile guidance parts it bought from Pentagon surplus in 2003 and sold to an entity partly owned by the Chinese government. The company pleaded guilty to an export violation, was fined $250,000 and placed on probation for three years. Customs and Border Protection inspectors seized the parts - nearly 200 pieces of the guidance system for the Sparrow missile system - while inspecting cargo at a New Jersey port. "Our mistake was selling it for export," said William Robertson, State Metals attorney. He said the company knew the material was going to China but didn't know the Chinese government partially owned the buyer. In October, Ronald Wiseman, a longtime Pentagon surplus employee in the Middle East, pleaded guilty and was sentenced to 18 months in prison for stealing surplus military Humvees and selling them to a customer in Saudi Arabia from 1999 to 2002. An accomplice, fellow surplus employee GaydenWoodson, will be sentenced this month. The Humvees were equipped for combat zones and some weren't recovered, Assistant U.S. Attorney Laura Ingersoll said. A California company, All Ports, shipped hundreds of containers of U.S.military technology to China between 1994 and 1999, much of it acquired in Pentagon surplus sales, court documents show. Customs agents discovered the sales in May 1999 when All Ports tried to ship to China components fo rguided missiles, bombs, the B-1 bomber and underwater mines. The company and its owners were convicted in 2000; an appeals court upheld the conviction in2002. Rep. Christopher Shays, R-Conn., called the cases "a huge breakdown, an absolute, huge breakdown." "The military should not sell or give away any sensitive military equipment. If we no longer need it, it needs to be destroyed - totally destroyed," said Shays, until this month the chairman of a House panel on national security. The Department of Defense should not be supplying sensitive military equipment to our adversaries, our enemies, terrorists." It's no secret to defense experts that valuable technology can be found amid surplus scrap. On a visit to a Defense Department surplus site about five years ago, defense consultant Randall Sweeney literally stumbled upon some items that clearly shouldn't have been up for sale. "I was walking through a pile of supposedly de-milled electrical items and found a heat-seeking missile warhead intact," Sweeney said, declining to identify the surplus location for security reasons. "I carried it over and showed them. I said, "This shouldn't be in here." Sweeney, president of Defense and Aerospace International in West Palm Beach Fla., sees human error as a big problem. Surplus items are numbered, and an error of a single digit can make sensitive technology improperly available and knowledgeable buyers could easily spot a valuable item, he said. "I'mnot the only sophisticated eye in the world," he said. Baillie said the Pentagon is working to tighten security. Steps include setting up property centers to better identify surplus parts and employing people skilled at spotting sensitive items. If there is uncertainty about whether an item is safe, he said, it is destroyed. Of the 76,000 parts for the F-14, 60 percent are "general hardware" such as nuts and bolts and can be sold to the public without restriction, Baillie said. About 10,000 are unique to Tomcats and will be destroyed, he said. An additional 23,000 parts are valuable for military and commercial use and are being studied to see whether it's safe to sell them, Baillie said. Asked why the Pentagon would sell any F-14 parts, given their value to Iran, Baillie said: "Our first priority truly is national security, and we take that very seriously. However, we have to balance that with our other requirement to be good stewards of the taxpayers' money." Kutz, the government investigator, said surplus F-14 parts shouldn't be sold He believes Iran already has Tomcat parts from Pentagon surplus sales: "The key now is, going forward, to shut that down and not let it happen again."